Iowa City ASC eye surgeons get you back to a better standard of living. Iowa City Ambulatory Surgery Center (Iowa City ASC) is leading the way in Ophthalmology surgery. Cataract surgery and Retina surgery are the two most common procedures performed at Iowa City ASC. The most common retina surgery performed at Iowa City ASC is to repair a retinal detachment. Surgery is the only treatment for a retinal detachment. Generally, the gel that pulls on the retina is replaced with a gas bubble. Almost all retinal detachments can be repaired with scleral buckle surgery, pneumatic retinopexy, or vitrectomy. Cataract Surgery is one of the most common eye surgeries performed at Iowa City ASC. We perform over 1,900 cataract surgeries a year. There are many different types of cataracts and most of them are tied to aging. About 50% of Americans will have dealt with cataracts by the time they are 80 years old. 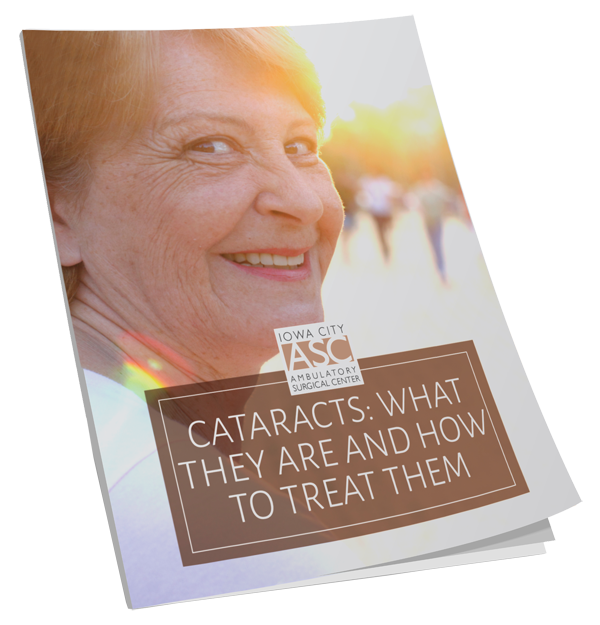 To learn more about the most common types of cataracts and what to expect from surgery, CLICK HERE. At Iowa City ASC, our team of ophthalmologists cares about our patients and wants to restore their vision with the latest technology and techniques. 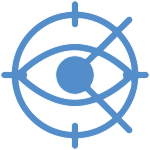 Iowa City ASC was the first center in Iowa to start using ORA with VerifEye+ technology during cataract surgeries. ORA with VerifEye+ technology provides key intra-operative measurements for refractive cataract surgery to improve precision of surgical implantation of intra-ocular lenses. Ophthalmology procedures at Iowa City ASC are performed in an outpatient environment. This provides a cost-effective surgical option without sacrificing the quality of care you or your child will receive. The Iowa City ASC Ophthalmology surgeons are demonstrated leaders, committed to providing our patients the latest surgical techniques. Cost savings for you and your insurance company. Patient-centered care tailored for your needs. Award winning quality of care. Easy to schedule your procedure. Less exposure to patients with other types of infection, serious illness. The most common symptoms of cataract formation is that your vision will become increasingly blurry. over 60 to begin to develop cataracts that will affect their vision. Cataracts occur as the lens in your eye become cloudy. If not treated, your vision will continue to worsen as the cataract grows.